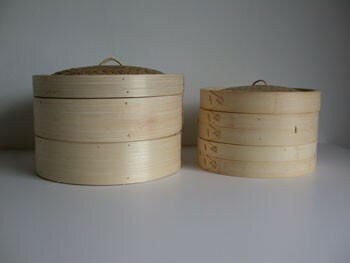 This 3-piece 12" bamboo steamer set includes two steam rack tiers and a cover. This fits perfectly inside our 14" Natural Nonstick Woks. You can use any pot or pan as a base to hold the water for steaming. Made in China. 12"D.